Okay, on this blog we have been talking about constant rise of India and reasons on why India will become the next super-power. There are thousands of articles on the web talking about power shift from West to East, where Chindia (a new word coined for China & India for its combined power+growth). However, there are certain harsh facts as well that we need to consider before we can confidently say that power is shifting to East. Even after scorching Economic growth in Asian region, the average per capita income is $5,800, compared to $48,000 of America. India’s per capita is, although doubled over last year, is still around $1000, (48 times lesser than U.S.A). It is expected that in 30 years from now India’s annual per capita may reach close to $20,000. It will take the average Asian 77 years to reach the income of the average American. The Chinese need 47 years. For Indians, the figure is 123 years. The combined military spending for whole of Asian region in 2008 was only a third that of the United States. Asia’s combined military budget won’t equal that of the United States for 72 years. Asian countries are expected to have constant Military conflicts amongst themselves. China and Japan have fought repeatedly over Korea; the Soviet Union teamed up with India and Vietnam to check China, while China supported Pakistan to counterbalance India. Already, China’s recent rise has pushed Japan and India closer together. 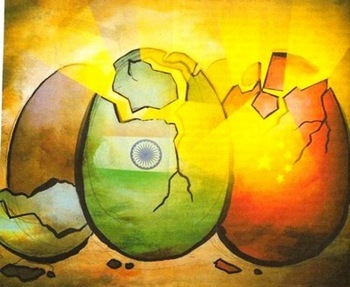 These internal conflicts have to be given much thought before power epicentre could shift to Asia. 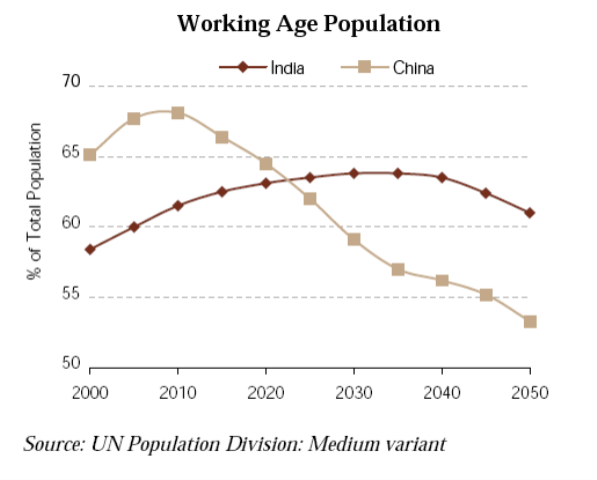 More than 20 percent of Asians will be elderly by 2050. Aging is a principal cause of Japan’s stagnation. China’s elderly population will soar in the middle of the next decade. Its savings rate will fall while healthcare and pension costs explode. India is a lone exception to these trends as they have age factor on their side. Environmental and natural resource constraints could also prove crippling. Pollution is worsening Asia’s shortage of fresh water while air pollution exacts a terrible toll on health (It kills almost 400,000 people each year in China alone). Without revolutionary advances in alternative energy, Asia could face a severe energy crunch. Corruption is another factor which cripples most of the Asian countries and 2 biggies in particular – India & China. Asia is increasingly giving more importance to higher education. But even then Asian universities will not become the world’s leading centres of learning and research anytime soon. In the last 30 years, only eight Asians, seven of them Japanese, have won a Nobel Prize in the sciences. There are many other points that will make it extremely difficult for power to shift to East from West in the foreseeable future. Lol you mad bro? (this article is asinine, biased and makes no sense as it is incoherent). I met new word which is "Chindia". I need to know them much more. It reminds me a line that I read once in The Tribune: India is Shining…but dimly. Power shift needs some basic values that are still invisible in Chindia. Do a simple test: Provide basic uninterrupted water and electricity to every home. If this can be achieved I guarantee there will be a power shift. “Go West” is a disco song by the Village People. I don’t see its relation to the East.